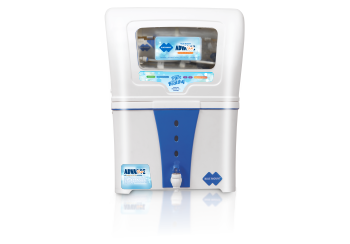 Alkaline RO UV/UF Purifier technology provides purification by Alkaline RO combined with Alkaline + Carbon + Sediments filter. The carbon and sediments filter remove both suspended and chemical impurities such as chlorine, pesticides and various organic chemicals. 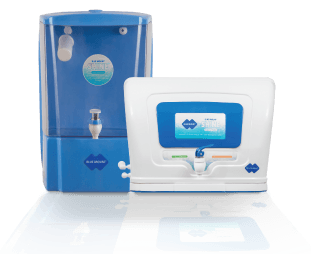 It’s state-of-the-art Alkaline filter and RO Membrane collectively purify water while the Alkaline filter maintains the pH level as well as minerals essential for human body. Ultraviolet sterilization is useful for targeted elimination of microbes. It ensures that the water is 100% free from bacteria, viruses and other impurities and ideal for consumption. Ultraviolet sterilization is useful for targeted elimination of microbes. 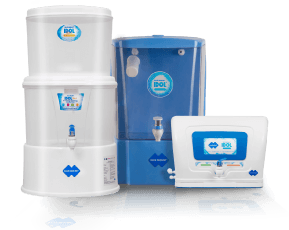 It ensures that the water is 100% free from bacteria, viruses and other impurities and ideal for consumption.Blue Mount state-of-the-art online UV technology uses 4 stages purification method. First is Sediment cartridge, which filters suspended impurities like fine sand and clay from the water. This water is then double purified by Activated Carbon cartridge and Silver Impregnated Carbon removing all chemical impurities like chlorine, as well as colour and odour from the water. Shine+ purifier contain transparent storage tanks that are insect-proof and don’t make water smell bad. 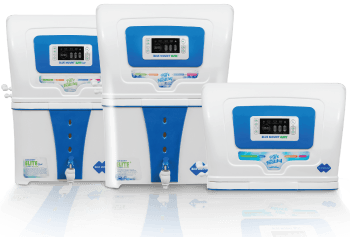 Blue Mount’s superior UF (Ultra Filtration) technology allows Online purification at high flow rate. 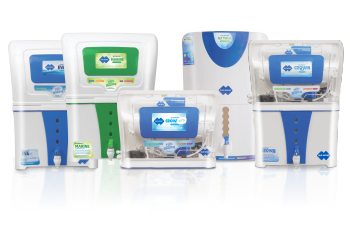 It comes equipped with a 0.01 micron pore diameter UF membrane which removes harmful micro-organisms such as bacteria, viruses and cysts while allowing essential minerals to pass. It is a combination of sediment cartridge, which filters suspended impurities like fine sand and clay; activated carbon cartridge and silver impregnated carbon, removing all chemical impurities like chlorine, as well as color and odour from water thus making water pure to drink. 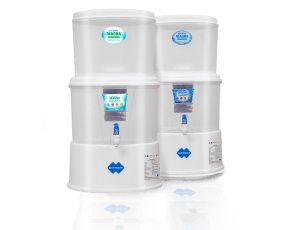 Blue Mount Gravity technology is an advanced purification system for basic water purification. A non-electric water purifier comes with Ceramic Filter + Activated Carbon + Sediment Cloth Filter + pH + Minerals. The water is filtered from suspended and chemical impurities, sediments and microbes to a certain level. This does not use any chemicals to purify your water and yet ensures it’s safe and healthy for consumption.